Port Authority Chairman David Samson stepped down last week, saying the timing was right. We hate to quarrel with a good decision, but he should have gone sooner. As New Jersey Gov. Chris Christie's top appointee to the multibillion-dollar bi-state agency, Samson was a key player on a team whose credibility was blown to bits when colleagues used the agency to create massive traffic jams to punish a Fort Lee political rival. The timing of Samson's departure was right only because it overshadowed the incredulous reaction to Christie's own investigation that let him off the hook for what happened in Fort Lee. The report trashed Christie's former aide Bridget Kelly and dismissed allegations that the governor withheld Sandy recovery money to retaliate against the mayor of Hoboken. We await the findings of a federal investigation that may have the advantange of hearing from key players. 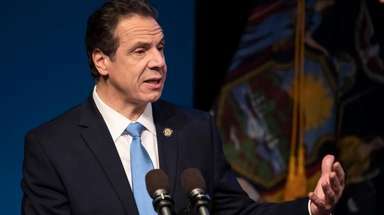 Now the question is how to reform an agency that for most of its 93 years has delivered for the residents of New York and New Jersey first, and for their governors second. The Port Authority's priorities today appear reversed. Now it's politics, patronage and deal-making first. Christie on Friday emphasized the suggestion in his own report that the authority could try to resolve internal problems by creating two separate divisions within the agency -- one for New York and one for New Jersey -- so that each state could control key projects that lie within its own jurisdiction. We think a better idea is to put much less emphasis on political interest and patronage and to focus first on projects that benefit both states -- projects in the tradition of the Port Authority's Holland Tunnel, Lincoln Tunnel and George Washington Bridge. The problem with this approach is that common sense and uncommon wisdom are difficult concepts to write into law. So for now, it falls to Christie and New York Gov. Andrew Cuomo to make the Port Authority work.